Buy 1 for $18.62Buy 2 / Save $0.99!Buy 3 / Save $3.72! 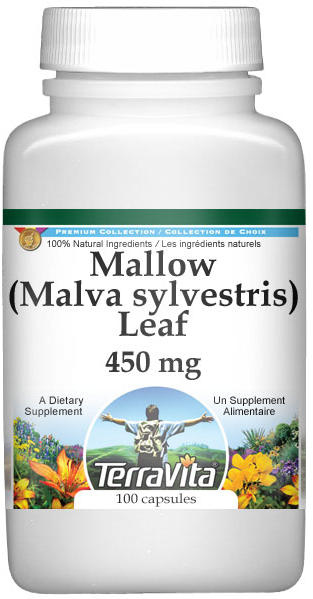 In all internal and external phlegmasias, Mallow is used to good effect; it acts in the same way as Linseed and Marshmallow root. In chest complaints, the infusion of the flowers can be used to help support preference, either alone or mixed with milk. The root is sometimes given in a decoction sweetened with honey. Concentrated decoctions are made from the minced leaves that can be applied in poultices on their own or mixed with a little Linseed flour. The leaves, eaten like spinach, have been used for very acid urine. They are particularly recommended in this form for chronic phlegmasia of the alimentary canal, constipation, irritation of the biliary system, nephritis, cystitis and dry cough. The decoction of the leaves and roots is applied in the form of lotions, fermentations, eye-wash and rectal injections, whenever there is a need to soothe irritated and inflamed parts.